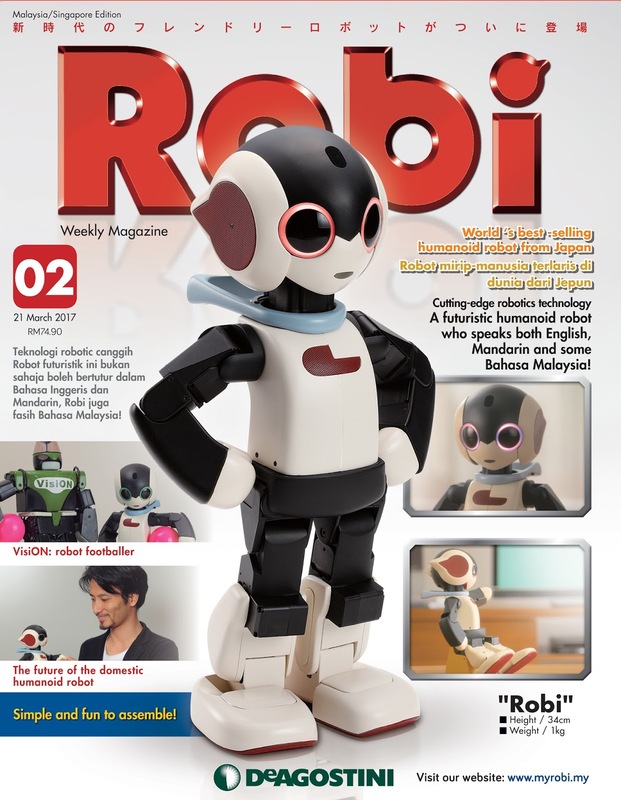 Meet the smartest robot, Robi that has landed in Malaysia. Robi is the first ever robot that able speak Manglish. Robi is a fusion of sophisticated design and advanced Japanese technology that was designed to provide interactive bonding experiences for the entire family. 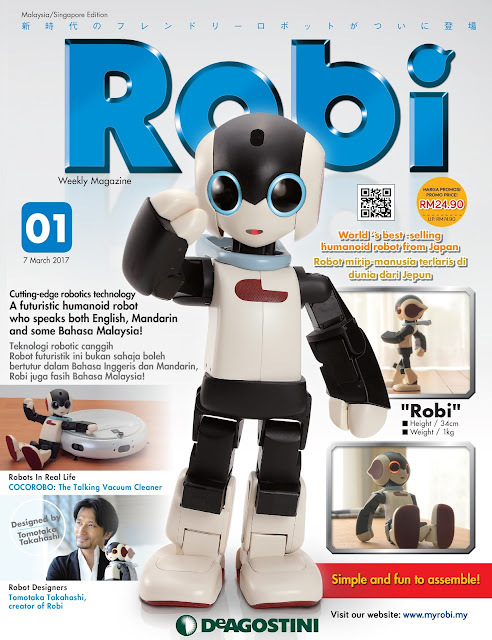 Providing an in-depth understanding of how Robi works, an educational magazine along with instructions and model parts, can be collected over the course of 70 issues, or ordered online. 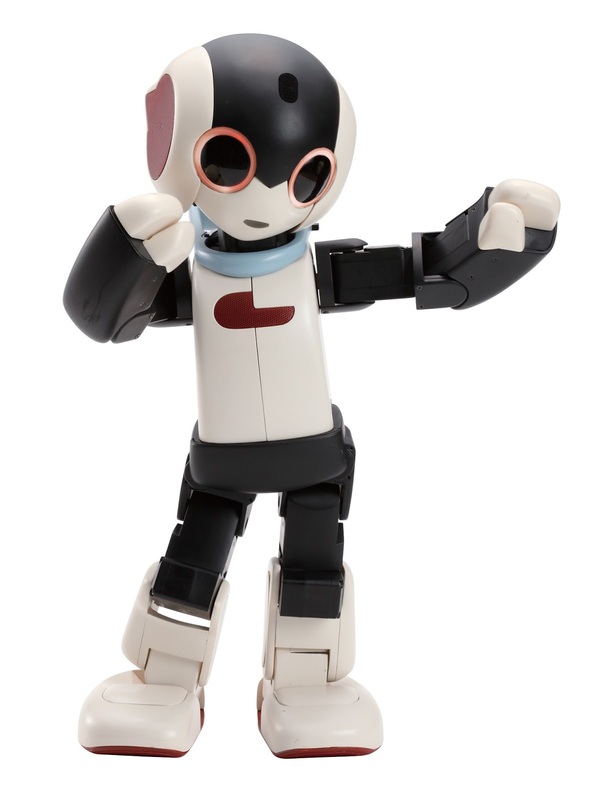 Families and robotics enthusiasts can look forward to assembling Robi with their own hands. From 10 to 12 March, families can learn more about Robi’s cute and amusing behaviours at a roadshow in One Utama Shopping Centre. 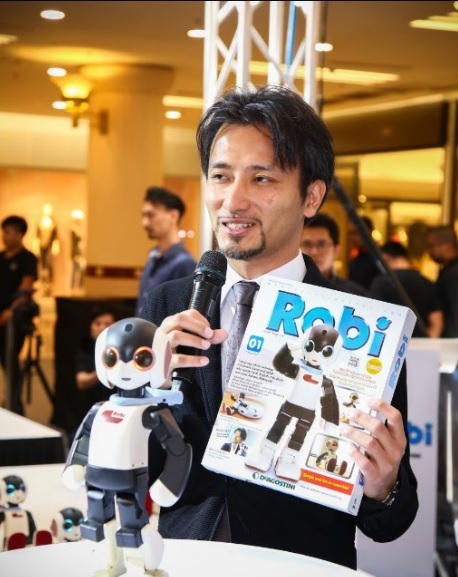 Professor Tomotaka Takahashi, the creator of Robi, will be on site to introduce Robi to visitors during the roadshow. To celebrate Robi’s debut in Malaysia, there will be a special performance featuring 100 Robi robots in a synchronized dance. Building on the theme of “ASSEMBLE ROBI, UNITE A FAMILY”, the event will also provide opportunities for families to get acquainted with Robi through hands-on experiences at the interactive stations, and have their photos taken at a Robi-themed photo booth. There will also be various giveaways, competitions with prizes give away including; kids drawing contest, Robi assembly game and an autograph session by Professor Takahashi. Incorporating cutting-edge robotics technology from Japan, Robi has become the bestselling humanoid robot worldwide. He can communicate with users, even expressing emotion through the colour of his eyes. He can talk, sing, dance and control selected household appliances. He has an extensive vocabulary of more than 250 phrases, providing a deep level of interaction between humans and robots. The specially designed Malaysian version of Robi has also been programmed to speak some Manglish phrases, as well as English, Malay and Chinese. “I truly believe that artificial intelligence and the creation of responsive robots can bring tremendous benefits to people and society, and I dream of fostering closer relationships between robots and human beings. We’re excited to introduce Robi to Malaysia, and hope to inspire the next generation of Malaysians to harness technology to improve the lives of citizens and build stronger communities.” Professor Tomotaka Takahashi. Aside from providing assembly instructions, the magazine available weekly at leading retailers, will also include educational materials to teach children more about the field of robotics. Robi has also been designed so that no prior skills is needed by either adult or children to assemble. The only tool required is a screwdriver that comes along with the magazine. As digitization goes mainstream and becomes more advanced, the hands-on learning experience from building Robi will provide children with the opportunity to understand the basics of robotics technology. 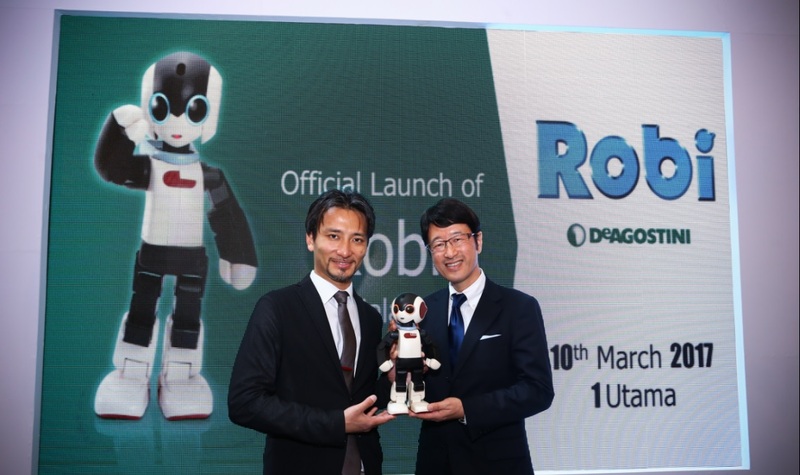 As one of the world’s leading robotics scientists, Professor Takahashi created Robi exclusively for DeAgostini. His keen interest in robotics grew from a young age, when he patented his first invention while he was still a student, and founded Robo Garage – a robotics group based in Kyoto University - upon graduation. Professor Tomotaka is responsible for many key developments in robot design, bringing to life Kirobo, a 3.5m-tall earthquake rescue droid, and he has even put the world’s first humanoid robot astronaut in space in 2013.